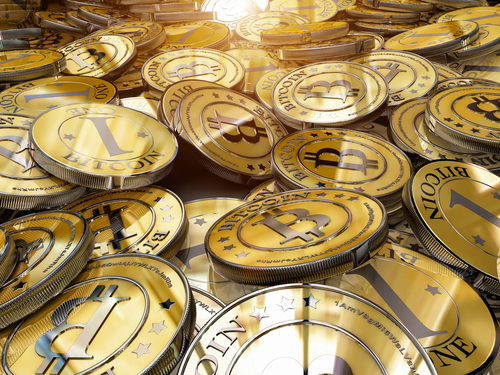 Mashable reporter Todd Wasserman has provided extensive coverage on Bitcoin’s highs and lows. Last month, with the firestorm around Mt. Gox, Wasserman interviewed me for my thoughts on the future of Bitcoin. My answer in a nutshell: dead or alive, Bitcoin has brought the notion of digital currency into the mainstream. This is a shining example of “bad press is good press.” Sure, the bad publicity around Bitcoin may slow mainstream adoption of any digital currency, and it may even signal the beginning of the end for Bitcoin. But all the scandal has accelerated awareness on digital currency. Think about it: if people didn’t know or understand digital currency before, they certainly know more now. Read more about my perspective on Bitcoin in Wasserman’s article. What do you think of the future of Bitcoin and digital currencies? I think they’re here to stay. They will emerge as a rival to national currencies. At some point, a small country will adopt one (probably Bitcoin) as its currency. What are the key factors that must exist in order for digital currency to go mainstream? People have to trust it, that’s No. 1. There’s not even a close No. 2 because once that happens, everything else will fall into place. What are the top 3 lessons to learn from BitCoin’s mistakes? Establish a reputable trading exchange that is transparent about its operations. It would help if the firm is based in the US. Appoint someone a bitcoin spokesman, a point person for the press who can knowledgeably field questions about news about bitcoin. Otherwise, there’s a vacuum that’s filled with misinformation. Expect lots of bumps on the road on the way to mass acceptance. There will be more! You tweeted that there should be a Bitcoin move. Who would play the lead? Based on the latest news, I propose Kevin “Keiser Soze” Spacey for Dorian Nakamodo. What’s your pulse on Bitcoin and digital currency? Do you agree with Todd and me that it’s not a matter of if but when? It’s definitely a matter of when; Bitcoin will be a set as another standard form of currency. Had it not been for a buddy showing me the workings of Bitcoin and what it is already doing for businesses; at the international level small countries are benefiting. Then, there’s Overstock dot com that features Bitcoin bestsellers. The process is slow and I have not been keeping up lately, but it is only a matter of time. Welcome digital currency.